For all the dark theme aficionados, or those who just want a better theme than the default, here’s a quick set of directions to update your ISE.1. 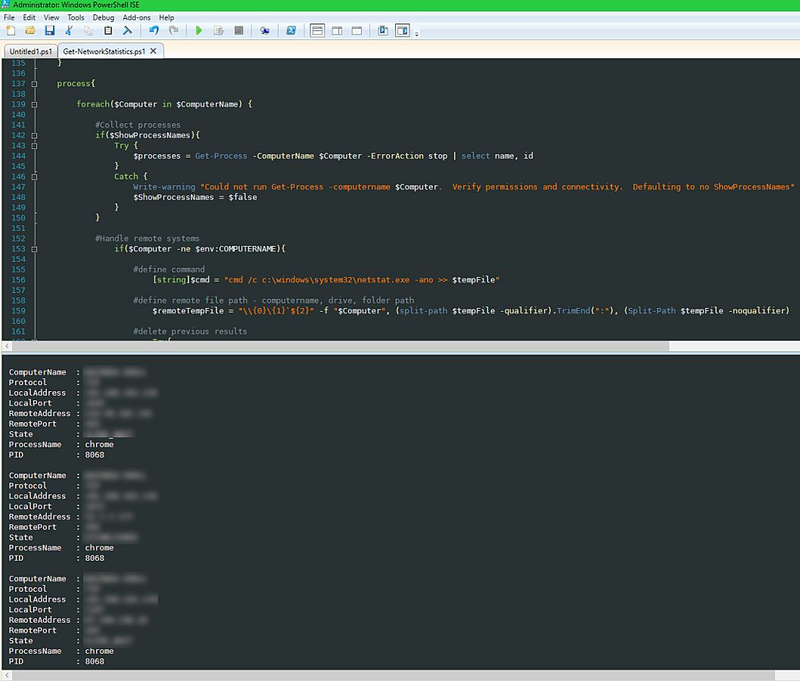 Go to download a theme from Github > PowerShell_ISE_Themes 2. Unzip 3. Go to ISE > Tools > Options > Colors & Fonts > Manage Themes 4. Import selected theme 5. For consistency, adjust the background and forecolor of the console pane as well as the text background to match if you want to. In my case I took the RGB values from the theme on the script pane background and applied to the console pane below it. 6. 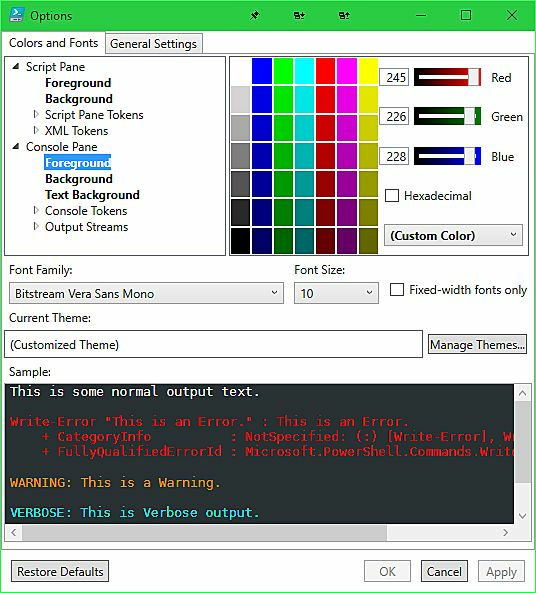 If you want the background for the error, warning, and other output streams to match, update the RGB background as well. Your eyes will now thank you, especially if you are jumping from Visual Studio dark theme to ISE with it’s previously glaring white screen.